The assignment from Camilla this week was to create a still life as a way of studying composition and perspective. Don't let the word "still" lull you into thinking easy peasy because it isn't moving! Hah! I think creating and photographing a still life is extremely difficult and takes a lot of time and self-critiqueing. 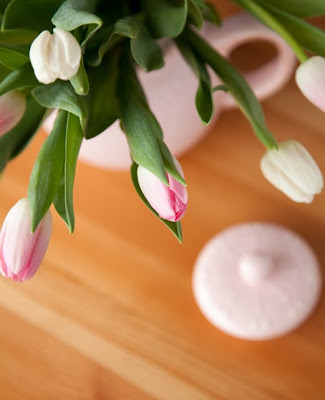 Shooting from the top down lets you see the vase and gives the viewer more information about the story, and distinguishes a field of tulips from a tabletop bouquet. 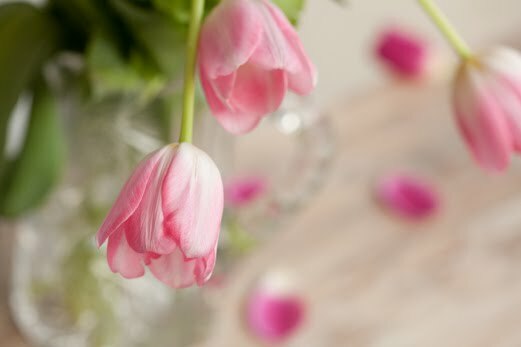 I also used a more open aperture to generate some background bokeh...which I think worked well to limit the distractions and allow the bowing pink tulips to stand out. and a blurred shot of the tulips, which is a fun color shot, but I think I should've played more with aperture and depth of field, but I couldn't resist a gratuitious color shot after the downpours we had that day! Giving the scene a slightly different perspective by tilting the camera. 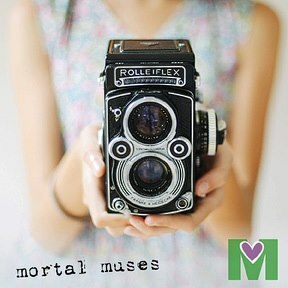 I encourage you to check the community of talented photographers participating in this assignment, and view the lovely work they've created. Wow, love your photos. Flowers are so beautiful. The teapot photos are just lovely. Happy Easter. Oh, tulips are so beautiful anyway and you did such a great job. I especially love the soft pinks in the second series. Great job! I bought a bouquet tulips. 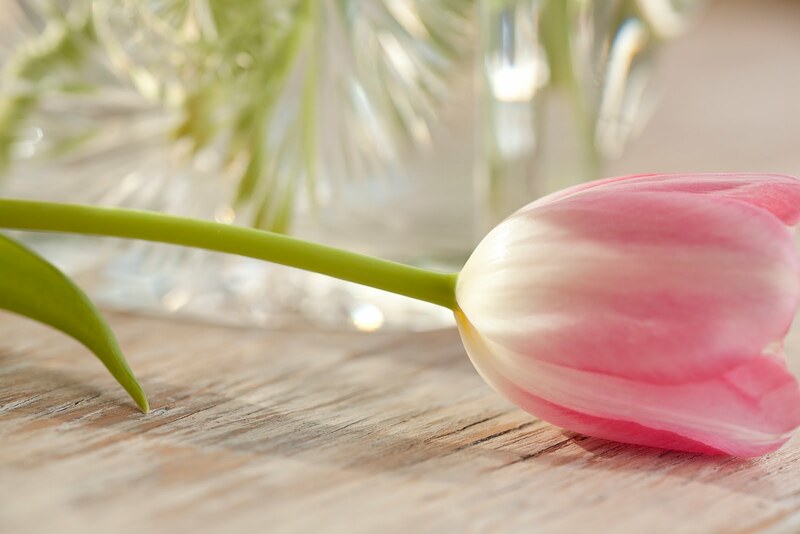 The essence of spring...tulips, very fresh and lovely. Fun that you experimented with different angles and switched things up Gail. I really like the birds eye view but also how you made the negative work for your images so well. Beautiful...the colors are just so soft and pretty. Oh how I love tulips!!! All of your shots were well composed and taken. My absolute favorites are both of the birds eye view. 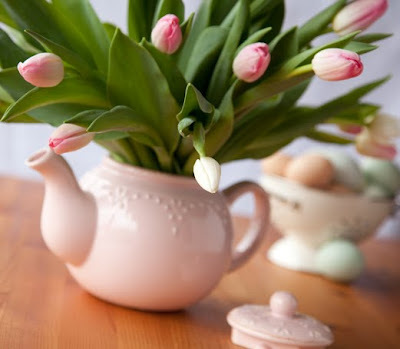 I love that teapot for a flower vase! Happy Easter! Absolutely sublime. 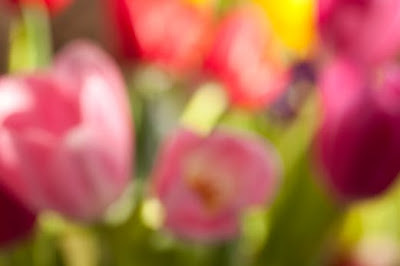 Tulips are one of the ultimate still life subjects. Lovely work. These are all wonderful, but I especially love that top down shot! Beautiful. I SO love the single tulip lying down. Just beautiful! don't make me choose a favorite! all of these are really beautifully done, and you've set very different moods with your choice of angle and composition. several seem vintage and others quite modern. i love the abstract art feel of the blurred photo. 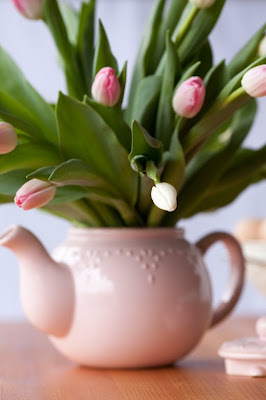 Teapot and tulips...a good match! I always love your short focus photos, Gail. So pretty. you get an A+++++. from me, friend. these are some friendly photos...and i really feel like i am right there. sometimes people work magic with the camera, and i know it when i feel like i am there. you and camilla both really made me feel that way with yours. maybe it;s the fresh flowers, and maybe it's talent. i'm gonna go with talent! i'm like lucy, i can't even pic a fave!! They are all nice Gail, but the dynamics in two and six are especially interesting. Love how the petals are such pretty blurs in #2.
that painterly blur is fabulous!! love them all. 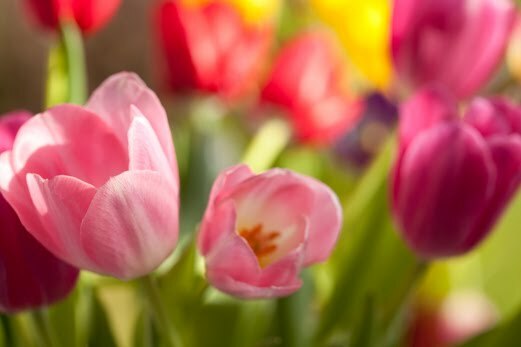 Such beautiful tulips, I love all the shots! I just loved the blurry shot and the negative spaces too! What pretty colors. Good work. I love the last tilted shot...although all are great! Now I want to go buy some tulips! tulips are such a great inspiration. you captured them beautifully! I love the colourful composition in the first photo! 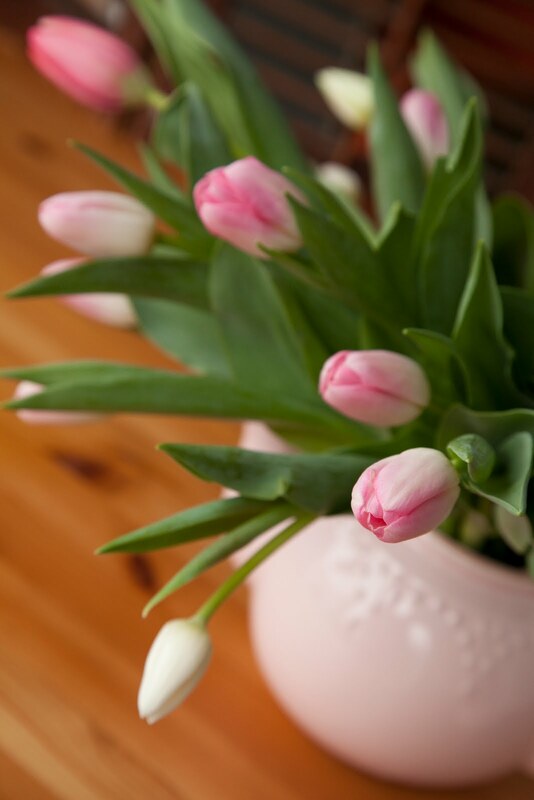 And the light pink tulips in the second and third photo look so delicate in the glass vase, beautiful! I love the tulips! They are the perfect pick for a spring photo assignment. The negative space shot is my favorite. Great work! The flowers are beautiful and I love the second shot from the bird's eye few with the background blurred. I also love use of the teapot as a vase. Lovely! absolutely gorgeous! each one of them. I love the way that you write about your process of the photos. 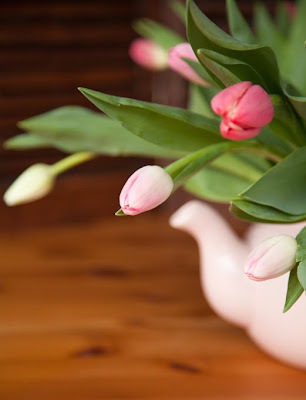 Really liked the negative space from above, teapot and tulips.